Hollywood LA Nightclub Events Guide: Current LA top clubs, bottle service Los Angeles, events happening now LA nightlife destinations, best Hollywood club events, where to club party LA, and everything LA clubbing nightlife related. Lining up plans for Halloween 2018? Looking for the best Halloween happenings in Los Angeles for October 31st? From pop-up parties to blood curdling clubs to ravishing rooftops; there's no shortage of worthwhile Halloween events in LA. Read on to learn about the best Halloween parties for October 31st in Los Angeles. Ticket: $25 for GA to $40 for VIP; see more options and buy online. Ticket: $25 for GA (presale) to $35 for VIP; see more options and buy online. Ticket: $60 for GA (presale) to $80 for VIP; see more options and buy online. Ticket: $20 for GA to $500 for Couples' Table; see more options and buy online. Ticket: $30 for GA; see more options and buy online. Ticket: $15 for early bird to $395 for VIP table; see more options and buy online. Ticket: $35 for GA to $50 for VIP; see more options and buy online. W Masquerade Halloween atop the W Hollywood Hotel on Wednesday, October 31, 2018 Halloween night at W Rooftop in Hollywood, CA on 10/26/2018, at 9pm to 2am. Ticket: $25 for GA to $55 for VIP; see more options and buy online. Put on your coolest, scariest or sexiest costume and head out to Hollywood for this massive Halloween Pub Crawl to multiple bars - $2 Draft Beers | 2-for-1 Mixed Drinks | $4 Shots. Check in before/by 10PM latest at Pig N’ Whistle. Ticket: $10 for early bird to $30 for GA; see more options and buy online. Lineup: W Hollywood (Rooftop & Station), The Argyle and Avalon. Check in 9pm inside Saint Felix. Come in costumes (required) and be ready to party with no cover charges and no wait-in-line club entry. Questions? Need help choosing the best Halloween party for you? Not a problem. Contact us directly; Quick & Easy at (310) 749-9029. One thing’s for sure; choose any of these parties and your Halloween night out will be a great one! And if you still want even more Halloween nightlife; then check out whatshappeninghalloween.com for this year's best Halloween parties & events. 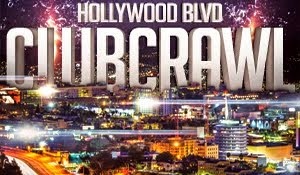 Searching for current LA top clubs and best nightlife events in Los Angeles? Use this Hollywood-LA Top Club Info and Events Guide to find the most popular nightlife destinations and discover why this city is the epicenter of entertainment. From the velvet ropes of Hollywood and the funky beats in DTLA, nightclubs come in many flavors - and they can change names, decor and owners faster than a techno beat. The city is full of exclusive venues and long lines, but you can also find incognito hangouts. On any given night, you can encounter a top-tier DJs throwing down on the dance floor at a multiple level mega club. JBP Entertainment provides top nightclub listings and info in Los Angeles and Hollywood areas of Southern California. JBP specializes in guest list services, event planning, party promotion and production and VIP transportation. 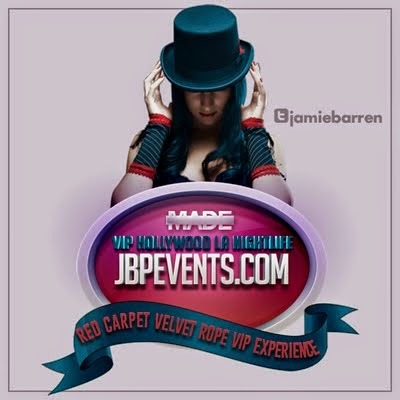 JBP Entertainment is a full service event marketing and promotions company based in Hollywood, California. Our mission is to provide quality nightlife. JBP is committed to building long term relationships with our clients, ensuring they receive value from and are satisfied with our services. Since 1997, JBP has produced spectacular nightlife events ranging from intimate gatherings of 150 personal guests to much larger functions with 2,000 guests or more. We strive to innovate, captivate and inspire a new concept to every event we manage. JBP Entertainment is founded solely on the purpose to continue the good times motivated by the support of our crowds and clients. Whether your party is a corporate event, graduation, birthday, bachelor, bachelorette, or just a special night out on the town, JBP can arrange full VIP treatment for you and your guests. We can set up open bar specials, VIP sections, and reduced or no cover at many of Hollywood's finest nightclubs and bars. JBP works with only the best places in the city to guarantee you and your party the best possible experience. LOS ANGELES NIGHTCLUBS 2016 HOLLYWOOD NIGHTLIFE. Picture Window theme. Powered by Blogger.